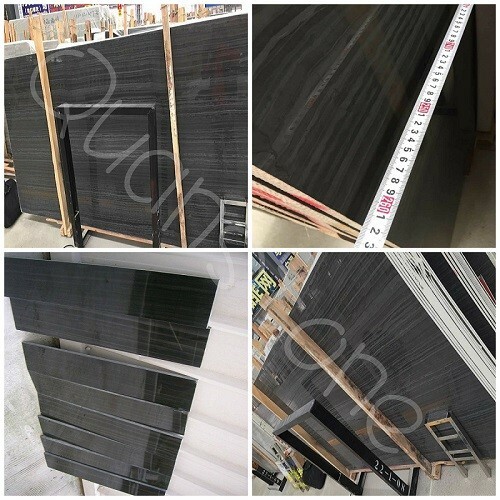 QuanStone supply Black Wood Grain with high quality and best price,fast deliver. During 15 days after received deposit . mongolia black granite ,Zhangpu Rust,Basalt Black and Putian Rust,etc. And Tan Brown,Kashmir White,Black Galaxy,Baltic Brown,Carmen Red,Giallo Cecilia Dark/light,Verde Ubatuba,Peacock Green,Blue Pearl. crystal white marble,emperador light/dark,cream marfil,Nero marquina,wood grey/white,white carrara, guangxi white ect. Finished Polished,honed,flamed,bushhammered,sandblasted, chiseled, natural split,tumbled,pineapple,etc. 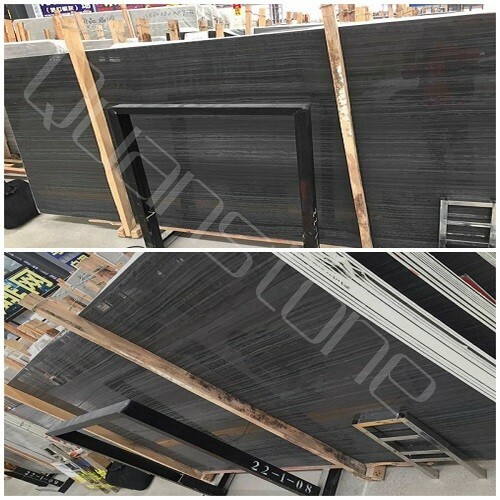 Production tile,slab,kerbstone,cube stone, paving stone, countertop. Countertops Rectangular Kitchen Countertop: 26" x 96", 26" x 98", 28" x 108"
Available Any other sizes are available as per customers' requests. Packaging Details Strong fumigated wooden crates/bundles for export. During the whole production process, from raw material choosing, fabrication to package, Our quality controller will strictly inspect each pcs and control each process to ensure quality standards and timely delivery.